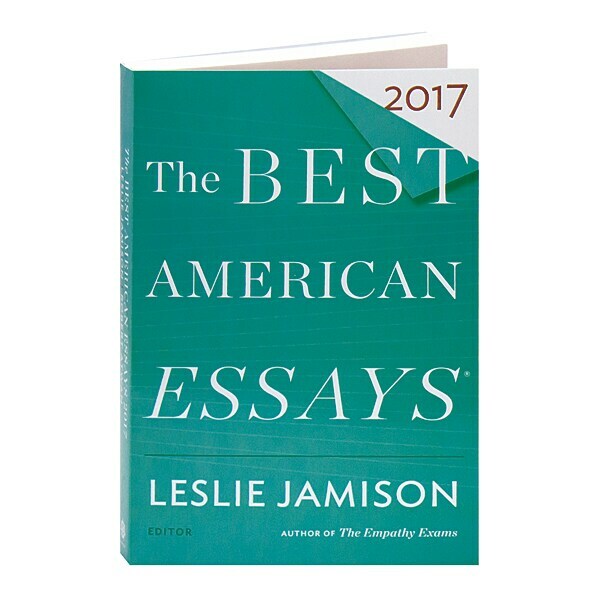 "The essay is political—and politically useful, by which I mean humanizing and provocative—because of its commitment to nuance, its explorations of contingency, its spirit of unrest, its glee at overturned assumptions; because of the double helix of awe and distrust—faith and doubt—that structures its DNA," writes guest editor Leslie Jamison in her introduction to this Best American collection of 20 outstanding essays that were published in 2016. From the Iraqi desert to an East Jerusalem refugee camp, from the beginnings of the universe to the aftermath of a suicide attempt, the genetic makeup of the eclectic and electric selections here, as Jamison promises, "thrill toward complexity," with contributions from Rachel Kaadzi Ghansah ("The Weight of James Arthur Baldwin"), Lawrence Jackson ("The City That Bleeds"), Rachel Kushner ("We Are Orphans Here"), Alan Lightman ("What Came Before the Big Bang? "), Bernard Farai Matambo ("Working the City"), Wesley Morris ("Last Taboo"), Heather Sellers ("Haywire"), and Andrea Stuart ("Travels in Pornland"). Since its inception in 1915, the Best American series has become the premier annual showcase for the country's finest short fiction and nonfiction, with The Best American Essays joining the stable in 1986. Series editor Robert Atwan selected scores of fine items from hundreds of magazines, journals, and websites, from which Jamison picked the very best, bringing to the task her ability to "stitch together the intellectual and the emotional with the finesse of a crackerjack surgeon" (NPR).